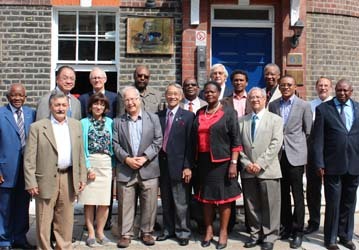 The Commonwealth Partnership for Technology Management (CPTM)was established in 1995, but it has older roots. To appreciate the unique position of CPTM, it is important to understand its roots, the way it has evolved over time, and the remarkable people who have made CPTM into what it is today. The roots of CPTM go back to a network of civil servants in several agencies of the Commonwealth Secretariat in the 1980’s who were concerned with the use of science and technology for the development of the emerging economies. 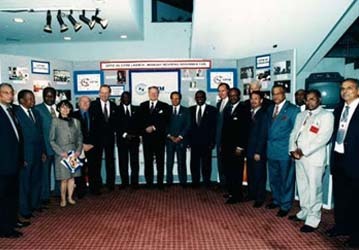 It was believed that cooperation between the Commonwealth countries with their shared systems and values offered a unique opportunity to accelerate progress and development. The methods that were used in this informal network were the free sharing of ideas and resources, the use of open dialogue to address issues of common concern and the concept that creating public-private partnerships was the best approach to mutually beneficial development. The novel ways that were adopted in those early days became the forming principles of CPTM. "The novel ways that were adopted in those early days became the forming principles of CPTM.."
CPTM has evolved over time. Technology management evolved from the transfer of technology and best practices to the use of technology as an agent for change. The concern for the environment evolved to a commitment to sustainable development. In line with these evolving needs and insights CPTM has developed a unique set of tools to contributing to the development of emerging economies. The CPTM approach is based on exchange of knowledge and ideas, open dialogue with all stakeholders and creating partnerships and win-win situations. But ultimately it is the members who underpin the unique position of CPTM. They come from over fifty countries in the world from all walks of life – heads of state and of government, ministers, civil servants, business leaders, academics, administrators and artists – and all share the same vision and commitment. CPTM members together create a powerful global network for communication and information exchange. The strength of this networking organisation is that the members communicate as ‘global citizens’ willing to share their experience without charge or constraints. The strength of this networking organisation is that the members communicate as ‘global citizens’ willing to share their experience without charge or constraints.CPTM now is a well-established brand name in the global development effort, and active in over twenty Commonwealth countries. But CPTM remains in the first place a movement and always remembers its networking roots, proudly celebrating in 2014 the first thirty years of “The Network”. The initial networking initiatives were mainly in the Caribbean with the great benefit of the rapid roll-out and learning between the islands. Malaysia played a leading role in the development of the Smart Partnership approach for realising National Visions and engaged other Commonwealth countries, in particular African countries, in applying this approach. CPTM is now a well-established brand name in the global development effort. The Smart Partnership Dialogues, uniquely driven by leaders of the emerging economies in the Commonwealth and beyond, have shaped a distinct and progressive movement for socio-economic transformation..